A perfect high tea menu ,Includes 6 snack items , Tea & Coffee . please order for min 50 Pax . 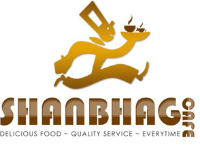 Shanbhag Café was established in the year 1975 by Shri G.R.Shanbhag with the sole aim of providing wholesome and delicious food with impeccable service standards. 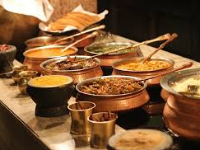 We offer a rich blend of mouth-watering cuisines, ranging from exciting North Indian choices to authentic South Indian dishes, all prepared by our own skilled and seasoned chefs. In addition to dining options they offer High Tea and Street Food too! Our objective is to be recognized as a catering company that strives to score through widespread preparation, impeccable service and personal attention. We offer a complete range of menus to suit all tastes & budgets, including an extensive selection of Vegetarian options. We provide catering services to various events viz. Weddings, Birthdays, Anniversaries, Board Meetings, Conferences, Dinners, Luncheons and Social Gatherings, Gruhapravesh, Corporate Get-togethers etc. We have a host of high profile companies on our client list. Our experience of serving them has enabled us to understand the specific requirements for catering to corporate events and parties. Our staff and stewards receive special training on a regular basis and are well mannered. Serving guests is what we really enjoy and we’d like to think we can help you the perfect function! We strongly believe that good food has to be supplemented by excellent service and we stand by that. Till date we have satisfied the appetite of orders ranging from 50 to 5000 people & gone beyond the boundaries of Bangalore to serve our customer. We are indebted and pray to all our patrons to continue their confidence in us & let be us a part of your journey. So invite us to take care of your party and we’ll help your guests take back a memory to cherish!